In this musical podcast, BCB Host Kayla Black brings us live music with Bainbridge Island musician Zach Fleury. Zach is a Northwest singer, songwriter, producer and session player who has collaborated with Noah Gunderson, Hot Bodies in Motion, Allen Stone, and Mackelmore. He’s also done some film scoring for Lionsgate Film. 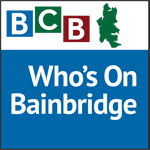 Listen here as Zach tells Kayla about his influences, teachers, training and how he came to Bainbridge to write and gain inspiration from living here. 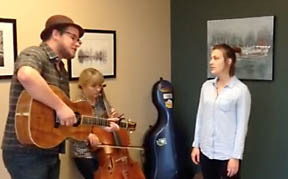 In addition, Zach brings his musical talent to our studio, sharing 2 songs — A Murden Lullaby and Fire Drills — with talented cellist Taylor Jensen and Seattle songbird Lizzie Rodrigue accompanying him on vocals. Both songs reference aspects of island life that should be familiar to our Bainbridge listeners. Zach has shows locally and nationally: details on his spring and summer tours and music can be found on https://www.ziibra.com/zach-fleury/, as well as on iTunes & Bandcamp; there are also numerous YouTube videos. For more information, you can email Zach at zachfleurymusic@gmail.com or just Google “Zach Fleury.” There may even be some surprises! Credits: BCB host: Kayla Black; producer: Lyssa Danehy deHart; BCB engineer: Tim Bird ; BCB social media publishers: Diane and Chris Walker.